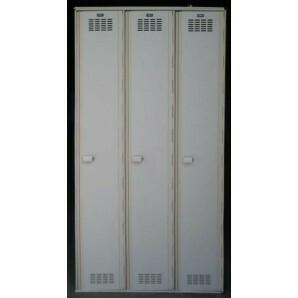 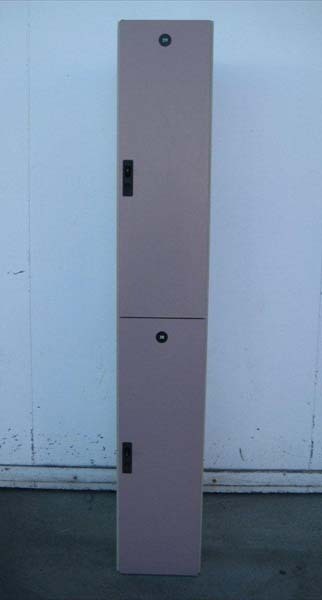 These Fitness Center Lockers are available on www.buyusedlockers.com where they have a huge selection to choose from if we need additional supplies. 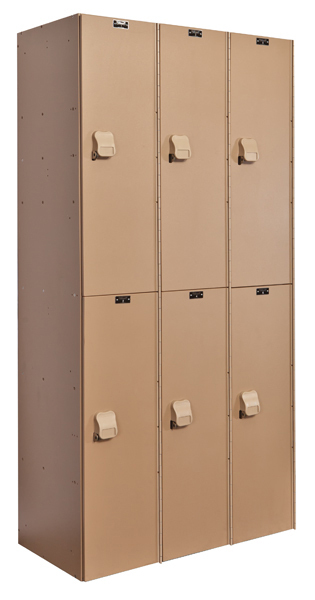 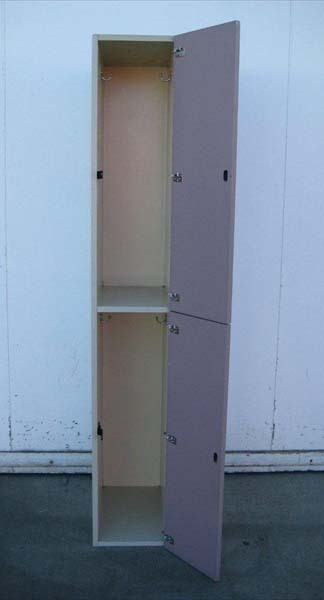 There are 22 of these used wood laminate locker compartments available that are 11.5” wide x 19.5” deep x 36” high in 11 columns that are 72” high overall. 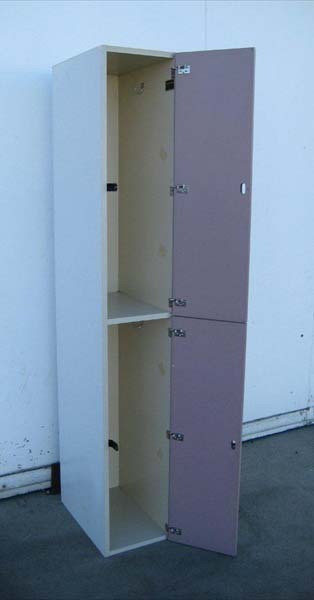 Each compartment has two hooks to hang clothing on and is locked with a common pad lock. 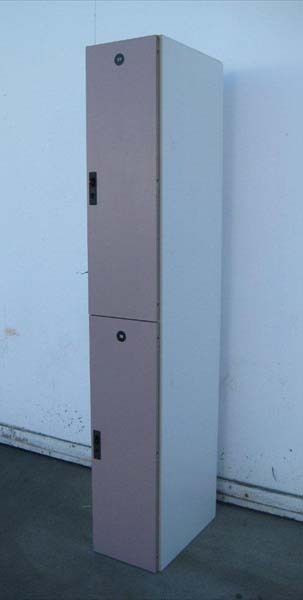 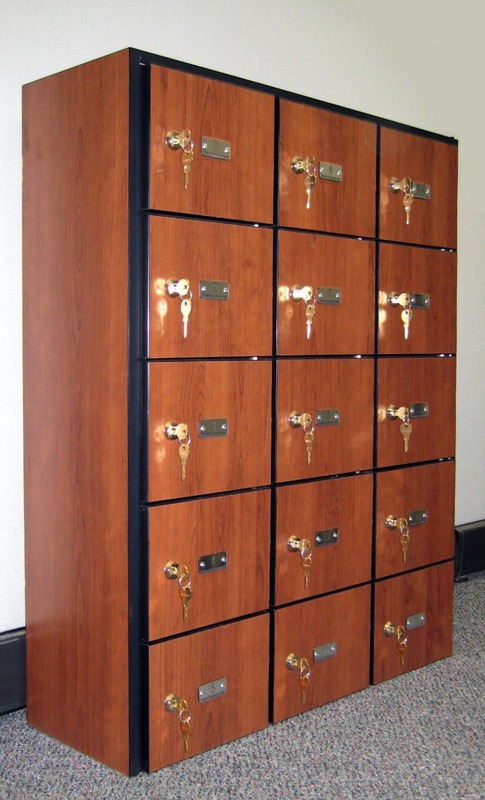 This type of locker in commonly used in locker rooms at spas, fitness centers and gyms for patrons to store their personal belongings.